Vijay and Raju were friends. On a holiday they went into a forest. They were enjoying the beauty of nature. Suddenly they saw a bear coming at them. They were frightened. Raju who knew climbing trees ran up to a tree and climbed up quickly. He did not think of Vijay. Vijay did not know tree climbing. Vijay thought for a second. He had heard animals do not prefer dead bodies. He fell to the ground and held his breath. 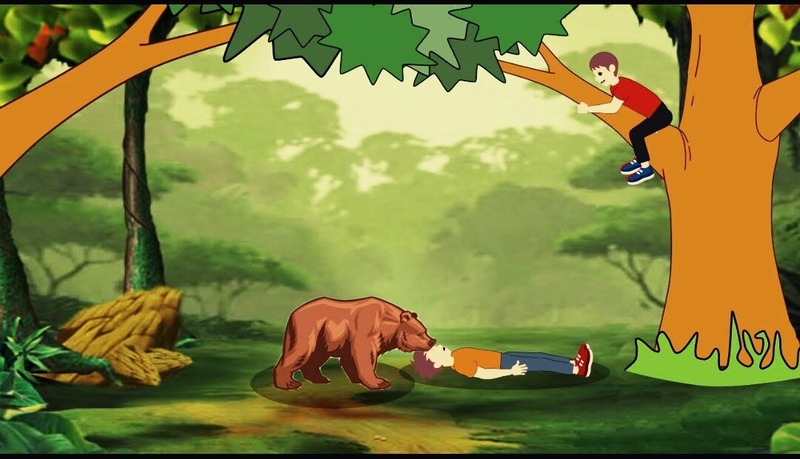 The bear sniffed him and thought he was dead. So, he went away. Raju asked Vijay," What did the bear whisper into your ears?" 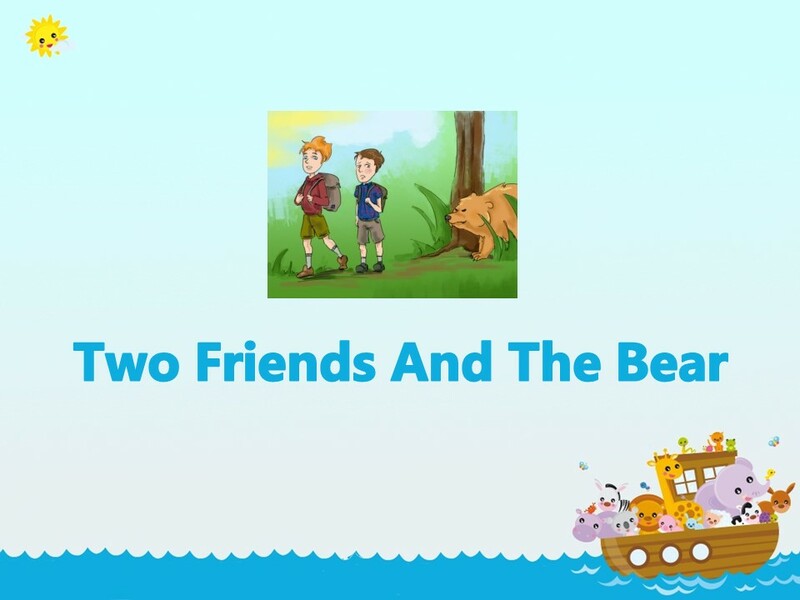 Vijay replied, "The bear asked me to keep away from friends like you" and went on his way.